The 800 block of Central Avenue has long been a dead zone between the downtown core and the EDGE District. People often point to the western creep of shops and restaurants down Central Avenue as an indicator of downtown’s growth — a symbol of pride that shows just how far the area has come. After all, the biggest draw to downtown 15 years ago was Beach Drive, a restaurant row that fronts numerous city parks and the famous St. Pete Pier. Today, not only is Beach Drive still bustling with activity, but you can meander down Central Avenue and experience nearly two and a half miles of continuous retail all the way to 31st Street. Arguably the longest stretch of walkable retail in Florida, stores along Central Avenue range from local coffee shops to art galleries and even a wig shop. Icon Central will be located at 855 Central Avenue. But there are a few exceptions along this stretch, most notably, the 800 block of Central Avenue. For years the area of Central between 8th Street and 9th Street had been a dead zone with no retail or street level interaction on either side of the street. 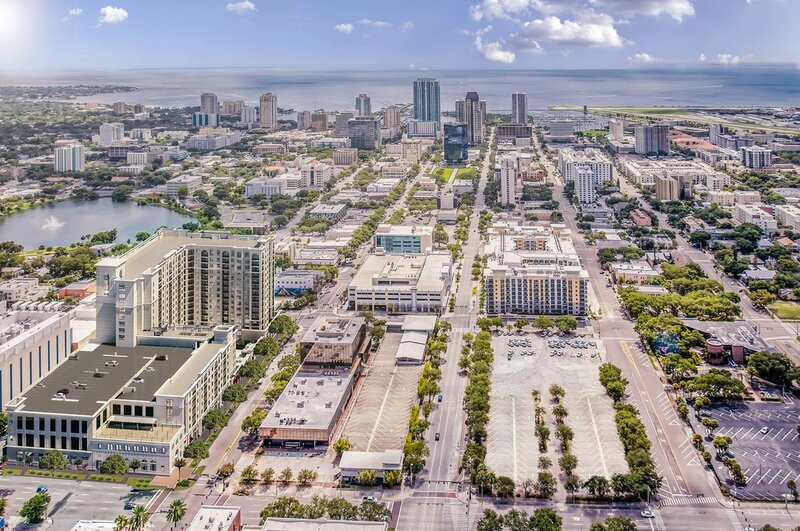 The 800 block is ideally flanked between two booming neighborhoods, the core of Downtown St. Pete with the thriving 600 block and Central Arts District, and the trendy EDGE District. The dead zone between these two areas has served as a psychological barrier that deters people from venturing to the other side. That will soon change. 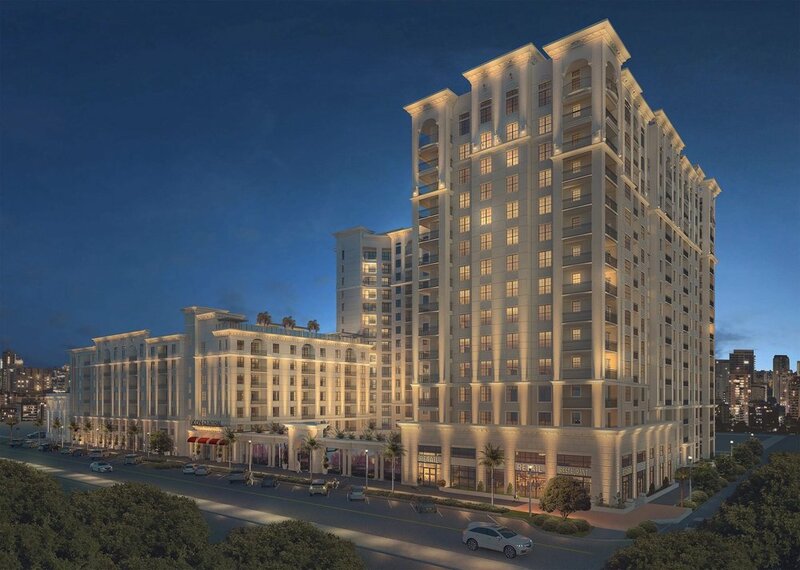 Back in January, the Related Group broke ground on Icon Central, a 15-story, 368-unit apartment building that will open next summer and will feature nearly 38,000 square feet of retail space. It will be a game-changer for a number of reasons, but primarily because it will fill in the missing retail link along Central Avenue. Recently released renders give us an idea of how Icon Central will activate the 800 block of Central Avenue. What was once an underutilized and overgrown surface parking lot and abandoned bank building will be transformed into an activated retail corridor with the potential for seven or more new businesses along Central Avenue. 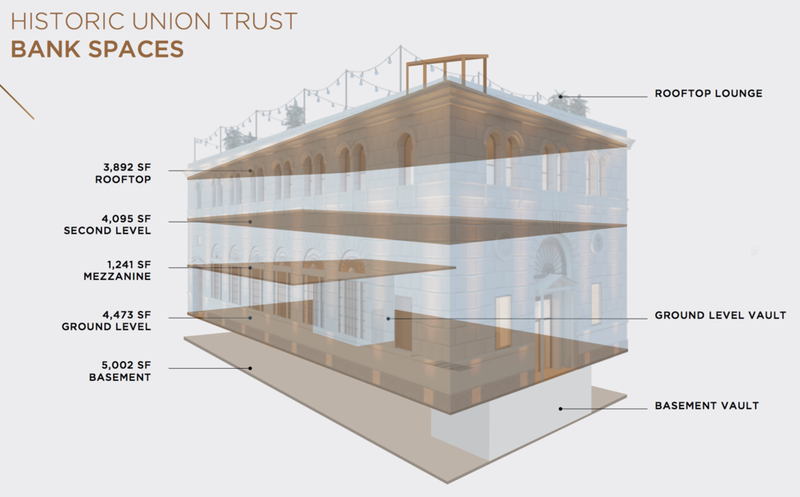 The historic Union Trust building will be renovated to include a basement vault, mezzanine level, and rooftop deck. In addition to the first generation retail space along Central Avenue, Related Group is also renovating the historic Union Trust building on the southwest corner of the site. The Union Trust building was built in 1926 and features a limestone facade, which has inspired the architecture for rest of the development and gives the entire project a timeless look. The historic bank building features a basement vault, ground floor, mezzanine level, second floor, and a rooftop deck. In total, over 18,700 square feet of historic space is available for lease, which will preserve the building for future generations. There’s no word on whether or not this space will be subdivided or if it will remain under one concept, but the opportunities are endless. Additionally, the project will also add 4,500 square feet of retail space along Dr. MLK Jr. Street across from Engine No. 9, a popular burger bar, and The Blue Goose, an upscale dive bar. Occupancy for the new retail space is expected in June 2019, with the residential apartments opening soon after. For more information on leasing the retail space, visit their website. Stay tuned for more information on the leasing of the residential units.